Jesus said, “if you love me, you will keep my commandments” (Jn 14:15, NASB). In the hands of a religious person this becomes a conditional statement: You have to keep the commands of Jesus to prove your love. The problem with that, however, is the commands of Jesus are impossible to keep. Now Jesus knows that you can’t bear fruit – “no branch can bear fruit by itself” (Jn 15:4) – but He plans to bear His fruit through us. What’s our part in this? He wants us to abide in Him, which means to dwell or stay put. It means don’t run off and try to do your own thing in your own strength. What’s His part? He plans to live His life through us and go on healing the sick and delivering the oppressed and doing all the other heaven-on-earth things He did when He was here in the flesh (Mk 16:17-18). Are you a branch with no fruit? What happens to unfruitful branches? Jesus said the branches that don’t bear fruit are “lifted up” (Jn 15:2). They are not cut off – that is a bad translation that would’ve made no sense to a Mediterranean listener! A viticulturalist would never throw away a branch for that would be like amputating part of the vine. (If you’re thinking of suckers, see my note in the comments below.) Unfruitful branches are lifted out of the dirt and re-dressed so they can be nourished by the sun. Sticking with that metaphor, the reason why some Christians are barren is that they’re facedown in the dirt and not looking at the Son. They’re busy, distracted, stressed, and have wandered from their protos agape, their primary love. When believers lose sight of Christ’s love they tend to become religious, just like the Ephesians. The next thing you know, they’re thinking that they have do stuff like obey His commandments to prove their love or earn His. What is the remedy for unfruitful branches? God is. He is the Gardener who does the lifting up. He is not there to slash and burn but to prune and lift. As you begin to bear fruit it will be for His glory, not yours. If you’ve been distracted doing the dead works of religion, just stop and come back to your first love which is His love. His love is like food for us. We are energized by it. I might tell myself that I am writing these posts because of my love for Him, but in truth, it’s His love for me that compels me to tell others the good news. I would not love Him except that He has first loved me (1 Jn 4:19). When Jesus said, “if you love me, you will keep my commandments,” He was not making a threat but a promise! He was saying, “If you love me you will do the works and greater works that I have done because I’m the one who’s going to do them through you. Trust me! Believe in me! Abide in me!” Why does Jesus say we will do greater works? Because 2000 years ago there was only one Christ, but now there are millions of Little Christs. Back then He was just a tender shoot (Is 53:2), but now He’s a mighty vine with branches reaching into every place. Back then God lived in just one man, but now He lives in millions of men, women and children all around the world and He wants out! What are the greater works? They are the works of Jesus done millions of times over, every day, all over the world by ordinary branches like you and me. Aren’t you amazed that God operates this way – through people? It’s like God is saying, “I believe in you. I have confidence that you will come to rest in my love and allow me to reveal myself to you and through you.” Carnal religion says it’s all about you and your faith so you’d better perform, but the gospel of grace declares it’s about Him and His faith so rest! Paul understood this which is why he said, “the life I now live in the flesh I live by the faith of the Son of God who loved me” (Gal 2:20). Branches can not bear fruit but vines can and do so naturally, without any effort. As a branch you carry the nature of the True Vine in you and He will bear His fruit through you. He promised! Do you believe Him? At this point you probably want me to tell you what to do. “What’s the takeaway? What must I do?” We Christians are so hung up on working for God that we don’t know what to do with Jesus when He says, “just abide.” Okay, here’s something you can do. Write this down. The next time you’re faced with a problem or trial, take a moment to let Jesus love on you. Allow the Lifter of your head to turn your gaze from the dirt back to Himself and then bask in His love. He is already shining on you. He has already been gracious to you and blessed you and given you His peace. Receive it! 90 Comments on What Happens to Unfruitful Branches? Note: The Greek word airo that is sometimes translated in Jn 15:2 as “cut off” or “take away,” can also mean to elevate, raise up or lift up. Here are some of examples of Jesus using the same word elsewhere: “If any man would come after me, let him deny himself, and take up his cross, and follow me” (Mt 16:24). “They will pick up snakes with their hands; and when they drink deadly poison, it will not hurt them at all” (Mk 16:18). “Rise, take up thy bed and walk” (Jn 5:8). It makes about as much sense to cut off your bed and walk as it does to cut off bits of an unproducing vine. True, some gardeners also define suckers as “surplus” branches that are trimmed early in the growing season to remove the stress on the vine and to ensure larger berries for the canes that remain. But here’s the thing – sometimes these suckers are removed even though they have grapes on them. 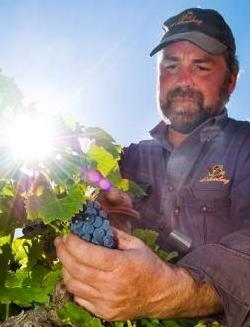 Fruit or no fruit, they are chopped off to suit the purposes of the viticulturalist. This doesn’t fit with Jesus description at all for He distinguishes branches purely on their fruit-bearingness. But these are all minor issues: The larger point is this – He is the fruit-maker, not us. “No branch can bear fruit by itself.” We bear the fruit that He produces and all this is for the Father’s glory. If we are not bearing fruit, it is because we are not allowing Him to do His fruitful work in us. We are in the way, in a manner of speaking. We need to stop striving and rest in Him. This is exactly the opposite message you will hear from those who are pressuring Christians into producing unholy Frankenfruit that only brings glory to man. Hey Paul, Thanks for your website and your commitment to the gospel of grace! Here are a few thoughts on ‘abiding’ that may help. If we try to understand John’s use of ‘abide / stay / remain’ as though it applies to some Christian experience, we’ll get nowhere fast. As far as I can tell, this interpretation started in the late 1800’s with some ‘exchanged life’ teachers and continues today in many ‘grace’ circles. In John’s letters, he always addresses the heretics who claimed Jesus hadn’t come in the flesh. These people also denied their sin and sins. They were lawless (denied sin). If a Christian were to follow these heretical teachings, he would “go out from the faith” rather than “staying put” in the [true] faith. He goes on, “if they had been of us, they would have *abided* with us”. (some versions use ‘continued’ or ‘remained’ here for the same greek word that is also translated ‘abide’). The point is this: Abide is something true Christians always do, regardless of our behavioral perfection or internal feelings. To not abide is to leave the faith! It sounds great and feels good to think of abiding as experiential. The concept of dependence on the Spirit is valid, but we should be using a sound pattern of words and talk about “walking according to love” rather than using ‘abiding’ in an experiential way, especially since those who don’t abide (lawless heretics who deny sin) are cast out and gathered for the fire. If we teach ‘abiding’ as a something a Christian can experience at certain times and not at other times, we’re teaching Christians to become crazy! Thanks for the comment. When you put it like this, I can’t help but think that “abiding in love” is analogous to “continuing in the faith.” Would you agree? Another great incite into our Fathers heart! Thank you! I have heard Joseph Prince speak on this and he refers to the branches that don’t bring forth fruit…that they are lifted up and washed with water (Even real grape vines have this done to them) and the washing of water is the washing our feet with the word! (the feet only as the whole body was washed with the blood once and only once for ever)The feet because this is our daily walk. So daily we wash with the water of the word. Wow I was always taught that the branch was cut off and thrown in the fire if it didn’t produce fruit…this is the sense I got from some Bible versions. Yet that seemed harsh to me. I really need to hear more on this. Also this statement “When believers lose sight of Christ’s love they tend to become religious, just like the Ephesians. The next thing you know, they’re thinking that they have do stuff like obey His commandments to prove their love or earn His.” is so true. I read writings once by Clay Sikes on this he said that when a person doesn’t have or doesn’t want a deep relationship with Christ they will build to show their love for Him. How then should we interpret the rest of Scripture at John 15 after verse 2?.. John 15:3 Now you are clean through the Word which I have spoken to you. John 15:4 Abide in Me, and I in you. As the branch cannot bear fruit of itself unless it remains in the vine, so neither can you unless you abide in Me. John 15:5 I am the Vine, you are the branches. He who abides in Me, and I in him, the same brings forth much fruit; for without Me you can do nothing. John 15:6 If anyone does not abide in Me, he is cast out as a branch and is withered. And they gather and cast them into the fire, and they are burned. Jesus Compares us not only to the vine. we are also compared to olive trees where birds come and abide therein. A vine is treated differently from an olive branch. A dried up branch cannot be brought back to life. it has dried up. We see from day-to-day life that such branches can only be used as fire wood. Take for example a seed. However dry a seed is, it has life in it. If you try to soak a dried up seed in water, it will sprout. Thats how bean sprouts are made..right? The seed grows in apt conditions into a tree that has branches which produce fruit. How long can a dried up branch stick on to a tree trunk. Once it has dried out, nothing can hold it to the trunk. It will fall to the ground even with a slight breeze. A passerby will pick it up and use these dried up branches as fire wood. Such branches are void of any life and hence cannot be pruned. Thats exactly what Jesus said. As for us, when we don’t abide or draw from the main trunk, our spiritual man cannot be fed. We will dryout and fall off or the gardner will cut us off. Why would a good gardner want to keep a dried up branch on his tree unless he thinks that it still looks beautiful there??? I just want to thank you for all your writing and posts. I’m always very alert to your posts, because I know that it will be inspiring and revealing. Just want you to realize that you do make a difference or your yielding to the Holy Spirit in you as you would probably say. Keep the good work and may God bless you and your family in the name of our Lord and Savior Jesus Christ. Thanks for that comment at the end about the greek word “airo”, it really does change this passages meaning completely. Paul you are an awesome man of God, keep allowing Him to produce this good fruit in you, I love it!!! This is the Christian Life as taught by Jesus Himself. You could not have made it more clear. Thank you. Good comment, Paul. In “Secrets of the Vine”, Bruce Wilkinson says the same thing – God isn’t lopping off but raising up into the light….. I read this book 10 years ago when it came out and was blown away. I then loaned my copy to someone and I haven’t seen it since. You haven’t got it have you Pat? Are the branches that He cuts away have to do with things in us that are not fruitful? Awesome sharing! Thank you Paul. I would love to hear you share on Mt 6:24. So.. If the branch IN JESUS does not produce fruit, the Father will take perfect loving care of it until it does, instead of cutting it out and throwing away. However if a branch chooses not to abide in Jesus, then it is cast out. It is wonderful to know, that in Jesus the Father will always keep lifting us up, isn’t it? As Jesus said, if someone comes to Him, he will not be thrown out (Joh 6:37). Jesudian, please see my new post on John 15:6.
looking fwd to the next installment ; ) my take is that verse 6 is in reference to the ones “not abiding”, which is different than “abiding, but not bearing fruit”. Awesome message Paul, thank you so much beloved. I always look forward to reading your messages. As a wife, and homeschool mom with endless responsibilities, to ‘remain’ in His love is sometimes the hardest thing for me to ‘do.’ I feel like the Lord has been showing me how to abide in Him. I love what you said~ “The next time you’re faced with a problem or trial, take a moment to let Jesus love on you. Allow the Lifter of your head to turn your gaze from the dirt back to Himself and then bask in His love. He is already shining on you. He has already been gracious to you and blessed you and given you His peace. Receive it!” Amen. THANK YOU!!! I have always been bothered about the “cut off,” “burnt off,” translations. They just didn’t fit the Trinity that was portrayed everywhere else. Love this post! 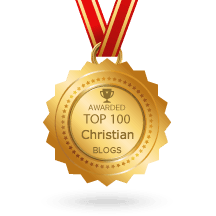 Hi, thanks for the blog post, it does reveal the heart of God. 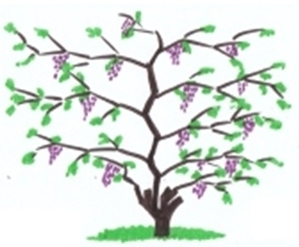 If u put the whole definition together it means “lift up and carried away.” The vine tree in Israel today has many branches, and the branches becomes unfruitful when it disconnects from the vine and falls to the ground, then the vinedresser airo it (“picks it up and carries it away”). Firstly, If based on your interpretation, what does it mean that when a branch is unfruitful the vineyard “lifts it up”? How does a vine-dresser “lifting it up” helps the unfruitful branch? Terence, thanks for your comment. (1) I am not a viticulturalist, but this vine-growing website explains how branches are trained by tying them to trellises that support their weight. A new vine won’t bear fruit but by training the branches you encourage fruit production later. The Wikipedia entry for vine training explains the reasons for this clearly. If you don’t train/lift the branches, you will have a problem with excessive shading that will inhibit fruit production and encourage disease. Grapevines don’t produce fruit unless they are exposed to sunlight. Imagine a branch at the bottom of the vine. It’s going to have difficulty with photosynthesis if it’s shaded by the branches above it. Even a passing awareness of vines will show you that they are grown stretched out rather than bunched up. You don’t get “grape bushes.” At the risk of stretching a metaphor, you might say something similar about Christians: We need direct access to the Son and can suffer from excessive shading! (2) I am not aware of any English Bible translation that interprets airo in Jn 15:2 as “lift up” (although most of them translate it that way in other passages). This means either I am wrong and all you unfruitful Christians better start performing for Jesus(! ), or that English Bible translators have spent more time studying linguistics than they have spent vine-dressing! As Jesus describes in John 15:2, viticulturalists routinely engage in two activities; they prune and they train. They don’t prune and lop. Your comment assumes that Bible translators are working independently. Personally I doubt you will find any English translator that has not been influenced by the KJV. If a translator were to “branch out” in a different direction with John 15:2 they would be risking much. We who blog, on the other hand, risk much less and thus speak more freely. I’m just thankful that we all have access to Greek lexicons that permit us to see for ourselves the meaning of words like airo. Hi Paul, thanks for your reply. Hmmm, maybe we should check with a viticulturalist one day haha…(1) Based on the explanation above, it still doesn’t indicate that “training” the vine branches is the same as “lifting up” the branches, at least vine trainers do not used the term “lifting up” according to a Google search I just did. So how do we assume that “lifting up” is the same as “training” the vine? Terence, we should not be surprised that words have multiple meanings. This is why context is essential to determining meaning. For instance, Paul used the word authenteo in 1 Tim 2:12 when discussing women in leadership. We presume he meant authority but this word is also used to describe, “one who kills with his bare hands.” Do you really think Paul meant to say, “I do not permit a woman to teach or kill a man with her bare hands; she must be silent”? If so, I would love to see a post on that! Similarly, the word airo can mean “lift up” in one context and “carried away” in another. There is no reason to assume it means both things at the same time in every context. In Matt 17:27 airo clearly means, “lifting up a fish out of the water;” in Matt 14:20 it refers to “picking up left-overs and putting them in baskets.” Neither the fish nor the leftovers were expressly carried away – they were simply taken up or picked up. But in Matt 24:39 airo refers to people who were “carried away in the flood.” So I have no problem with Strong’s definition (2). If you have a problem with my earlier explanation of (1) and (3), then I would like to hear what you think Jesus meant in Jn 15:2 (in <250 words please). Hopefully your explanation will make sense to vine growers. Terence, it’s a good thing Martin Luther didn’t follow the crowd when studying scripture. You gave me your take on 15:6 – not abiding (which really belongs here). I was hoping for your take on 15:2 – the unfruitful branches. It’s not self-explanatory at all. What exactly do you mean by “He removes” and what are the conditions that lead to removal? I think I can guess, but I’d rather not. A primary particle; “off”, that is, away (from something near), in various senses (of place, time, or relation; literally or figuratively): – (X here-) after, ago, at, because of, before, by (the space of), for (-th), from, in, (out) of, off, (up-) on (-ce), since, with. In composition (as a prefix) it usually denotes separation, departure, cessation, completion, reversal, etc. It would seem that John 15:6 is referring to a case of extreme divine disciple of a backslidden believer and not a loss of salvation. It is similar to 1 Cor 3:11-15, where one is saved, yet so as through fire. If we do not bear fruit, God will lift us up so we will bear fruit. If we still do not bear fruit, we will receive God’s discipline, or experience the consequences of our actions. We will get burnt! Many other portions of scripture teaches this same concept. This passage is about a believer’s fellowship with Christ, by which we bear fruit, and not about salvation or the loss of salvation. The more we fix our eyes on Jesus, the more fruit we bear. The less we look to Jesus, the less fruit we bear. If we do not fix our eyes on Jesus, we will experience the negative consequences of it, but our salvation is never in question. If it were in question it would not be by grace, but by performance. That would contradict other parts of the Word like Rom 4:5 and Eph 2:8-9. How does it seem to you that being “thrown into the fire, and burned” is merely discipline? BTW, my post above is one possible answer. However, I lean more to the view that John 15:6 is referring to one not saved in the first place, in light of 1 John 4:15. We abide in Him if we confess that Jesus is the Son of God. Either way, loss of salvation is not an issue. (20) For I say unto you, That except your righteousness shall exceed the righteousness of the scribes and Pharisees, ye shall in no case enter into the kingdom of heaven. “No case” means “In NO way”. God is going to judge our level of righteousness. Dear Sarah, I welcome your comments but please note I don’t normally publish comments that merely cut and paste scripture. Anyone can quote scripture for any purpose they like. If you have objections to the points raised in the post, let’s hear them. Thank you. Paul, in line with the other objections offered above, allow me to raise my own as well. While referencing a good Greek lexicon is admirable, you are left with having to choose which of the three possible definitions makes the most sense in this passage. Translating αἴρει (3 act. indic. [αἴρω]) as “lift up” just doesn’t work in John 15:2. Potshots against us linguists aside, it is ultimately context that determines meaning. Αἴρω is being used the same way here that it is in John 16:22 – Jesus categorically isn’t telling His disciples that once He’s resurrected no one will be able to “lift up” their joy — He’s saying that no one will be able to “remove / take away” their joy. The contexts in John 16 and 19 are quite similar; this is the second reason that translating αἴρω as “lift up” would be to do violence to the text. Hi R-R – long time no see. If you are going to defend your interpretation of the word airo based on scriptures which have nothing to do with fruit-bearing, then it’s seems legitimate for me to do the same: “If any man would come after me, let him deny himself, and take up his cross, and follow me” (Mt 16:24). See also Mk 16:18, Jn 5:8 and other similar taking up interpretations of airo. I do value your linguistic skills but one needn’t be a linguist to make judgments about the context. So some contextual questions for you: How does chopping off a fruitless branch help that branch to become fruitful? If we become joined to Christ through a work of the Spirit (Jn 6:63), how would our subsequent removal bring glory to God (15:8)? It would be like saying the Lord had made a mistake. Jesus said we are in Him and He is in us (Jn 14:20) – why would He amputate bits of his own body? If anyone is in the vine of Christ, He is a new creation. The old has gone and is not coming back again. I maintain that apart from Him we can do nothing and He is the One bearing His fruit through us. The vine and the branches are inseparable in the same way that toes and fingers are parts of the body (Rom 12:5, Eph 4:25). Jesus is not a cutter. He would no more amputate bits of His own body than a vine-dresser would slash a vine in the hopes of making it fruitful. This is a senseless and reckless interpretation that has brought fear and harm to our brothers and sisters. First things first, Paul. My quotes from John 16 and 19 were from similar contexts, i.e. they are from contexts where αἴρω simply cannot be translated as “lift up”. So your objection to my introducing them is misguided at best, and an outright canard at worst. You are dead right on your reference to John 14:20: by grace we are united to Christ through faith. John has there already introduced the concept of union with Christ. What you are missing in John 15 is the use of metaphorical language. Since Christ clearly isn’t really a Vine, etc., then how far are you willing to push that metaphorical language, especially where the phrase έν έμοι is concerned? You should note that the phrase μὴ φέρον καρπὸν gives us a clue as to how far that language can be pushed. The clue is the negative particle μὴ followed by a temporal participle, in this case in the present tense. This clues the linguist into the fact that the tense usage of the present here is that of a customary present. What John is pointing out is that these “tendrils” do not now, or ever, bear fruit. Clearly then, we must ask if we are pushing the language of the text too far to say that they are truly and vitally έν έμοι. The question that you must answer is, “Can those who are vitally united to Christ by grace through faith permanently fail to produce fruit?” Can they permanently give no evidence that they are actually attached to the Vine? I think not, Paul. Faith produces fruit just like a living vine produces grapes! This bears on the discussion of the use of αἴρω. Will God, here portrayed as the Vine-dresser, allow those who merely appear to be united to the Vine, but are not, to choke the life out of the fruit-bearing tendrils? Or will he αἴρω them, i.e. violently remove them so that those whom they threaten may flourish? Which will it be? RR, it doesn’t seem fair that you get to use certain scriptures to support your interpretation but I am not allowed to do the same – that was my earlier point. I think we agree that airo is translated differently in different places and that context is everything. My interpretation of John 15:2 is hopefully crystal clear but what are you saying? Are you saying that Christ is not really a vine therefore no one is really chopped off? So Jesus was just playing with words. Or are you saying the Father only cuts off branches that were never part of the vine to begin with? Or maybe they were in which case the violent removal that you refer to applies to His children – the same ones He said He would never leave nor forsake. I have had a few people on this thread insist that the text should be read “cut off” but so far not one of them has told me plainly what they think this means. Will you be the first? In John 16:22, it is justified to translate airo as “takes FROM you” BECAUSE the verb is followed by apo, meaning off-from. This is true in many other verses as well. HOWEVER is not justified in the language or in the spirit of all of scripture to translate it takes away, since NO apo follows the verb, and since no EK follows the verb either, as it does in some verses where a sense of taking away is being implied. Study ALL the approximate 102 verses using airo, and you will see that where a meaning of take away is absolutely necessary, it is followed by apo or ek. Sorry, I forgot to say that I was explaining that while it is justified in John 16:22, it is NOT justified in John 15:2 because no apo or ek is there. Also it is glaringingly out of the the Spirit of Christ. There is much more to say about this as well. May i offer this to you.When Pilate presented the tortured Messiah to the people their reply needs to be understood from the Greek;not the English translations.Here is the English;(KJV) But they cried out, Away with him, away with him, crucify him. Pilate saith unto them, Shall I crucify your King? The chief priests answered, We have no king but Caesar. In the Greek the words ‘with him’ do not appear,these have been added by the translators as they think this helps with the understanding. (LITV) But they cried out, Away, Away! Crucify Him! Pilate said to them, Shall I crucify your King? The chief priests answered, We have no king except Caesar. They people were saying lift up(airo),lift up(airo) CRUCIFY,and a crucified person was to be LIFTED UP after having been nailed to a cross. Odd that I stumbled on this site. I’m not going to get into scriptures. A few days ago I didn’t even know the story of the vine and the branch. Actually, I’ve been frustrated lately that in all my sincerity and efforts, I’ve been unproductive. The Lord has a way to deal direct with beginners and peanut brains like me. He talks to me. I know he has no intention of cutting me off. He explained to me that I’ve been trying to do things by myself and it doesn’t work that way because I am in him and he in me.I’ve been left hungry and fruitless because he is the vine and I am the branch so nothing can be produced when I’m leaving him out. He said I was trying to feed myself but the vine feeds the branch. (I didn’t realize I was leaving him out but I guess I’m not sure how to work together?) He told me to Trust him and let Him do the work. Now I just have to learn how to TRUST in him and Let HIM do the work. How? I’m not sure yet. Every day is a learning experience. To the ones who think he would cut us off., I don’t know a lot, but God is Love. Why would he cut anyone off. I wouldn’t even do that. I don’t know much about vines but if you were a tomato plant and not producing fruit, I’d give you some extra TLC. THANKS & LOVE to all of you. Paul, If you think I missed anything in what he was trying to tell me, please let me know. Hi CT, thanks for your comment. It sounds like God has been revealing some wonderful things about Himself to you. I’m standing on the sidelines shouting “Go God!” Don’t let anyone tell you otherwise, but the good news is simple! And good! He loves you unconditionally and as you rest in His love you will find yourself bearing His supernatural fruit effortlessly. The harder you try, the less fruit you’ll bear. Jesus said “this is for my Father’s glory.” It is ALL about Him. You are blessed! Praise God for you Paul God Bless!! Well I am amazed that people think they have the power to overthrow Christ! Whe Christ has chosen you before the foundations of the world, given you his ‘seal’ of the HS, his sonship, his inheritence… if you understood the transaction that occured when you became a Christian, you cant become ‘unadopted’… sorry… if you in, you are in. So If we look at that passage in light of the fact you cannot lose salvation once it is acquired, it must mean something different to what we think it means. At what point do you become bad enough to get lopped off? Gosh we would all fail if that were the case. There is definitely a difference between the “branch that does not bear fruit” and the “anyone who does not abide”. We must remember that Jesus gives us the meaning of the allegory in verses 11. It is about fruit, specifically joy, not about whether or not we can or may be “cut off.” The vinedresser’s job is to see that the purpose of the vine is fulfilled. Therefore he will do whatever he can to extract as much fruit from the vine as possible. Which means to lift up, clean off, and prune. Verse 6 is dealing with something different. Ever see what happens to a branch that has fallen off a tree? What is it good for? Firewood. Those that do not abide (Judas comes to mind) are withered and good for the fire. Just my thoughts. You said that the meaning “cut off” would have made no sense to a Mediterranean listener. Anyone from that era would have cmoplete understanding of the term in context meaning to cut off. Grapevines, as with many plants have suckers. These do not grow from the vine and in fact compete with the vine for nourishment. The Mediterranean listener would have understood the phrase to lift up, or cut off to mean to remove completely as it is not in the vine. From a purely natural stand point suckers are unlikely to mature to the point of producing fruit. So, those in the vine are pruned. Those not in the vine are not “raised up” or “lifted up”, but are entirely cut off and then burned in the fire. This is the most natural understanding of this parable given its own context and the understanding of the original hearer who would have had a liberal knowledge of suckers. You may be right – suckers are removed. But as you note, suckers do not grow from the vine. According to this website suckers are separate vines that grow from the root of, and compete with, the main vine. Is that what Jesus is referring to? Maybe. But then why would he say the Father cuts off “every branch in me” that bears no fruit? A sucker is not a “branch in me.” It is not and never has been a part of The Vine. For all intents and purposes, it is a competing vine. I respectfully ask, is there a difference between glory to man and glory to a child of God? I’m not saying whether mature or immature but one who expresses immature feelings through mature channels like speaking in the Spirit or praying in joy and the Holy Spirit. Thanks so much for this post, and all your others! Thanks for taking your time to put all this up online. Would you say the same applies to John 15:10: “If you obey my commands, you will remain in my love, just as I have obeyed my Father’s commands and remain in his love”. I’ve been just a new follower of your blog Pastor Ellis, in fact I was only reading it during lunch time at my work place without signing up, but I was just so blessed for the revelations. Thank you. God is doing a great work in your life. (So I decided to follow. 🙂 ) I’ve been reading your book “The Gospel in Ten Words”. It blesses me so much with fresh revelations. God is indeed good! And I thank Him. He is moving mightily in the Philippines. Sadly, there are still many Christians who do not really understand John 14. When we had a Bible study few weeks ago, this was the topic the Holy Spirit brought up. Most of us were really growing in the knowledge of Him, thanks God..some of us did not understand “and the branch who does not bear fruit he takes away”..but I remember it was revealed to me through my private reading of the Word that Christ “lifts up” those that does not bear fruit so he will be exposed to the Son-Jesus..Praise the Lord and thank you for your post. I’d love to share this to them. Thanks for this thorough and “rightly dividing the word of truth” explanation! I read John 15 this morning and wanted to have verses 2 and 6 explained to me (yes I read your explanation of v. 6 as well, thanks!) and did a web search but at first all I found were just a lot of confusing and contradictory articles (because I know that the majority of scripture teaches the eternal security of the believer, although most of my life I was taught the opposite). I have come to respect Joseph Prince as a preacher of the Gospel of truth (but sometimes forget the details of what I’ve heard him preach), so I added his name to my google search and your blog article was the first thing that came up (someone mentioned him in a comment). I really appreciate it – now I can explain these verses to my children or anyone else who questions that passage. One question – which Bible version are you using when you include quotes of scripture? Hi guys. There’s something that’s not clear to me so I’d like to ask something. After Jesus said unfruitful branches are cut off, didn’t He say they get thrown into the fire? Is that interpretation also wrong? I address that scripture in this post on abiding in the vine. I have learned more truth in my less than one month’s time following this blog than I have learned in 21 years of religion, and that certainly includes my very religious Bible College. Reading this brought tears to my eyes and joy in my heart. I don’t know how many times I have heard from the pulpit that the branch cannot bear fruit of itself, then feel the social pressure and influence within the church to exhaust myself trying to do exactly that. Then in a different sermon, hear more ways I need to bear my own fruit. LOL….my own frankenfruit. HE is the “fruit maker”. If I am not bearing fruit, it is not because He is a liar, it is because I am standing in my own way of bearing fruit by striving in my own strength. It is exciting to think of what can happen in my life trusting in He who is greater than me and in me to produce fruit. I trust. He grows. My part in it is placing my faith in Him rather than asking Him to be my assistant. I need to be his vessel and He the captain. Thank you, Paul. Thanks for your encouragement Sally Ann. Hearing stories like yours brings great joy to my house! Hello, John 15 speaks of the branch that has been cut off will be thrown into the fire (jn 15:6). Therefor it will not be replanted as you have stated. We need to take into consideration the other verses. If you enter “John 15:6” into the search box at the top of this site, you will find my post on that verse. Good ol’ Google! Thanks for writing Doug. When you rely on your own righteousness you are cut of from the vine you are unable to be part of the vine as it has nothing to offer you. Great thing is you can be easily grafted back into the vine. This verse has nothing to do with salvation but everything to do with successful and victorious living. You cannot remain in the vine unless you have been purified 15:3. Finally I find the answer of my question. thanks Bro Paul for the explanation. I’m so blessed. When a person look at a beautiful tree, standing from a distance, he will exclaim “what a beautiful tree!”, it will not be expected for him to say “what beautiful branches”. So there is this unique Person and Glorious One, and we are part of Him. Got it? See this post and this post and then please read this. Thanks. I absolutely love this take on un-fruitful branches! It’s so consistent with Isaiah 42:3, that a bruised reed He will not break and a smouldering wick He will not snuff out. I felt hope spring up in ways it never did when I read John 15:2 before! What about the Father’s pruning of vines in John 15:2? Is our pruning accomplished when we confess Jesus as our Savior or does the father continually prune us? Seems to me that as we abide in Him, the true vine, we are fully qualified to produce mega fruit, so no need for further pruning. John 15:3 says we are already cleaned, So who is the Father pruning? A thank you to George’s letter which appeared in my email today- Dec.29, 2012 YES! There is no apo or ek in that verse to indicate to take ‘away from’ or ‘out from’. It just means ‘take’. Translators apparently added the ‘away’ word, I guess because it ‘sounded’ good. But it causes all this confusion. Paul, this is a very insightful and deeply enriching article. Grace be multiplied to you in the knowledge of our Lord Jesus Christ. I always thank God for your life. I am trusting God, that in the nearest future we will work together to spread this gospel of grace around my country, Nigeria. You are a blessing to the body of Christ. My Bible tells me the tree that does not bear fruit is cut down and cast into the fire. Thankfully Jesus is the tree that bears much fruit. Hi Paul, thanks for these posts on Jesus’ commandments. When I read the first post I was struck by the fact that the verse “if you love me, you will keep my commandments” is not a commandment, but rather a statement/fact. Similar to “if you get up early, you will get to work on time”. So a natural result of loving Jesus is to love others etc. However at the top of this post you quote the verse as “if you love me, keep my commandments”, which has an entirely different meaning. Just wondering why there are two different versions of the verse and which is more correct? I was quoting the NIV. Your version, which comes from the NASB, is better and for me better captures Jesus’ heart. I’m going to change that first line in the post. Thanks!